Marriage before 1852 William was married to Mary Griffin before 1852. Birth D Sands was born. Marriage 1935 D was married to Mavis A Begg, daughter of George A Begg and Jessie I F Wilson, in 1935. She was the daughter of Thomas David Percival and Ellen Dixon. [S2] Index of BDM records, NSW BDM, Place of Registration: Burrowa; Year: 1903; Number: 10855. [S2] Index of BDM records, NSW BDM, Place of Registration: Burrowa; Year: 1906; Number: 2025. 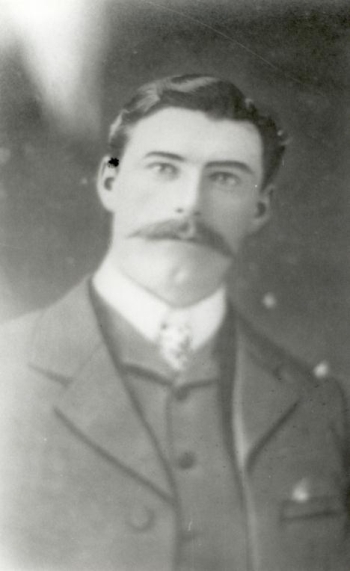 Birth 1876 Thomas Percival was born in 1876 at Grenfell, NSW, AustraliaG. He was the son of Thomas David Percival and Ellen Dixon. Death 5 November 1959 Thomas Percival died on Thursday, 5 November 1959 at Rye Park, NSW, AustraliaG. Name Variation 1913 As of 1913, Thomas Percival was also known as Thomas Perceval As shown in his marriage entry in the NSW BDM Index. [S2] Index of BDM records, NSW BDM, Place of Registration: Burrowa; Year: 1907; Number: 7286. Death 24 July 1964 William Percival died on Friday, 24 July 1964 at age 85. The Burrowa News, Burrowa, NSW, AustraliaG 26 February 1909 William Percival was mentioned in an article in The Burrowa News, Burrowa, NSW, AustraliaG, on Friday, 26 February 1909 as follows: PERCIVAL— GORHAM. pretty wedding was celebrated in St.
second son of Mr. and Mrs. Thos. given away by her brother (Mr. J.
brooch, the gift of the bridegroom. worn gold brooch, gift of bridegroom. bridegroom, was best man. The Rev. wishes for their future welfare. Mr.
Mr. J. Gorham, sen., cheque ; Mrs.
Master J. A. Gorham, pair vases ; Mr.
lace window curtains ; Miss N.
O'Malley, pair photo. frames ; Miss A.
breakfast cruet and jam dish ; Mr. H.
pair fruit-dishes ; Mr. and Mrs. H.
Smith, afternoon tea-set ; Mr. A. Miss C. Wilson, butter-dish ; Mr. H.
Wilson, jug and basin ; Mr. R.
Mr. J.Keefe, pair photo. frames ; Mr.
G. Evans, vegetable dish; Mr. G.
vegetable dish ; Mr. and Mrs. S.
Croker, hot water jug ; Mrs. J.
Pollard, pair vases ; Mr. and Mrs.
B. A. Good, butter-dish ; Miss F.
Gibbons, ornaments ; Mr. and Mrs. J.
Corkery, half-dozen spoons ; Mr. J. Miss B. Gorham, tea pot ; Mrs. A.
Mr. B. Roberts, pickle jar ; Messrs.
L. and M. Roberts, teapot; Mr. T.
[S558] Marion Earle, "William & Jane Percival," e-mail to Robert Mote, December 2005. [S384] Various Family Trees, online http://RootsWeb.com, Tree entered by Linda Burgess. [S2] Index of BDM records, NSW BDM, Place of Registration: Burrowa; Year: 1913; Number: 2517. Death 4 August 1966 Alfred Percival died on Thursday, 4 August 1966 at NSW, AustraliaG. Name Variation Alfred Percival was also known as Perceval. [S2] Index of BDM records, NSW BDM, Place of Registration: Burrowa; Year: 1916; Number: 35910. Death 13 July 1977 Reginald Perceval died on Wednesday, 13 July 1977 at AustraliaG. Name Variation 1893 As of 1893, Reginald Perceval was also known as Reginald Percival As shown in his birth record in the NSW BDM Index. [S357] Electoral Office Commonwealth Of Australia, Electoral Roll, Subdivision: Boorowa; Page: 24; Number: 1398. Name Variation 1891 As of 1891, Hazel Percival was also known as Hazel Percivel As shown in her birth record in the NSW BDM Index. Death 10 June 1975 Hedley Percival died on Tuesday, 10 June 1975 at AustraliaG. [S2] Index of BDM records, NSW BDM, Place of Registration: Boorowa; Year: 1925; Number: 8875. [S357] Electoral Office Commonwealth Of Australia, Electoral Roll, Subdivision: Boorowa; Page: 24; Number: 1402. Name Variation 1915 As of 1915, Ivey Maud Percival was also known as Ivy M Perceval As shown in her marriage record in the NSW BDM Index. Burial Wesley Thomas Perceval was buried at Rye Park, NSW, AustraliaG. He was the son of Thomas Percival and Teresa Mary Hardiman. Death 6 August 1989 Wesley Thomas Perceval died on Sunday, 6 August 1989 at Canberra, ACT, AustraliaG, at age 72. Name Variation 1942 As of 1942, Wesley Thomas Perceval was also known as Thomas Wesley Percival As shown in his marriage record in the NSW BDM Index and the 1966 Electoral Roll. [S357] Electoral Office Commonwealth Of Australia, Electoral Roll, Subdivision: Boorowa; Page: 24; Number: 1406. Birth 1920 Gervas Dixon Perceval was born in 1920 at Boorowa, NSW, AustraliaG. Death 22 September 1956 Gervas Dixon Perceval died on Saturday, 22 September 1956 at NSW, AustraliaG. 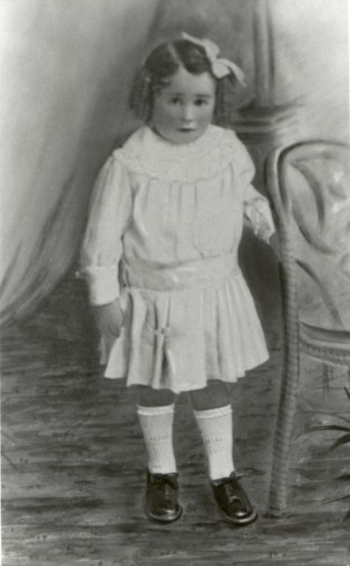 She was the daughter of Thomas Percival and Teresa Mary Hardiman. [S2] Index of BDM records, NSW BDM, Place of Registration: Boorowa; Year: 1919; Number: 4328. Marriage Unknown was married to John McKinnon.